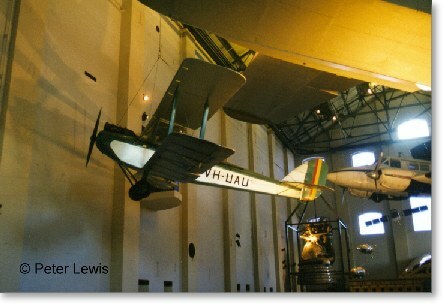 This Museum is still at the development stage, and building a new display complex at the far side of Bankstown airport. 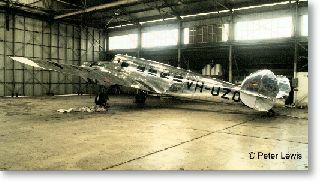 It has a number of aircraft in its collection, which are currently stored either outside or in a storage hangar. 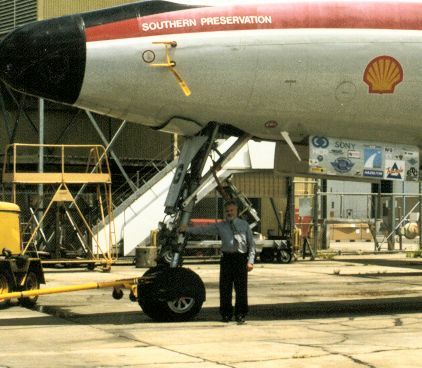 Pride of the collection is the Lockheed Constellation 'Southern Preservation'. 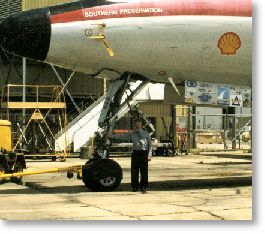 This machine was recovered from the USA, restored to full airworthy condition, and frequently appears at air shows. 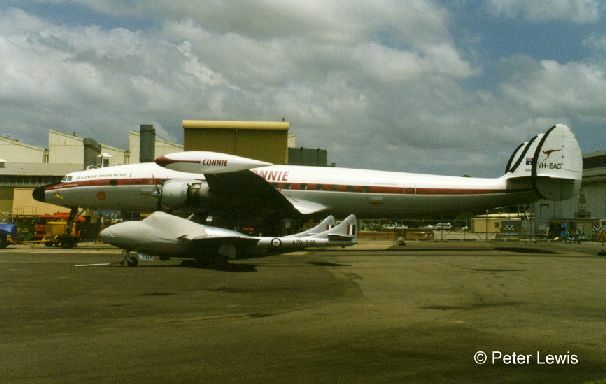 Although painted up in QANTAS colours, and with the period registration VH-EAG, legal problems prevent it from flying in the full QANTAS colours. 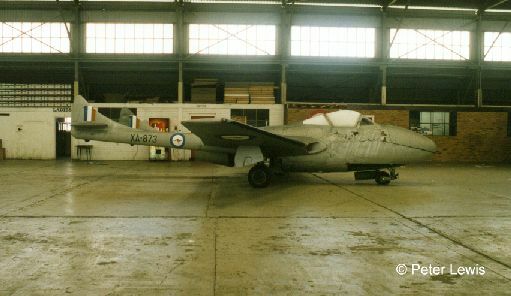 The Museum possess several DH Vampire jets, but these tend to exhibit the usual plywood delamination problems after spending extended periods in outside storage. The bargain-basement static replica SE5a makes an interesting contrast. The fully restored 1937 Lockheed L-10 Electra VH-UZO is very impressive. 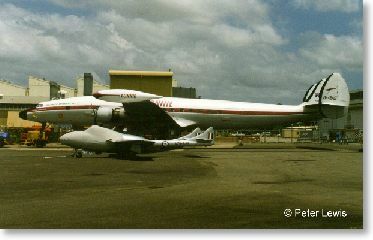 Used in Australia from new (initially by the fledgling Ansett organisation), this aircraft had a long and varied career until falling into dereliction at Bankstown in 1967. 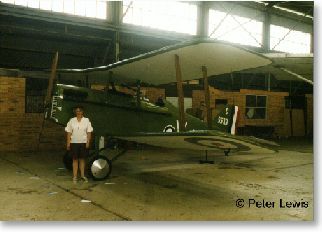 A full restoration-to-airworthiness was started in 1980, culminating in a 'first flight' in 1991. A superb effort. 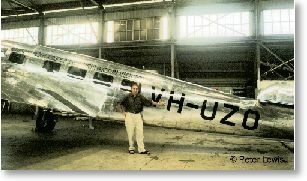 The aircraft was painted up in unoriginal but period KLM markings, which somehow do not match the Australian registration letters. Originally known as the Museum of Applied Arts and Sciences, this museum has since shifted into the old buildings once inhabited by the Darling Harbour coal-fired electricity generating station. This is right alongside the Darling Harbour shopping centre, and can be reached by using the city monorail system. 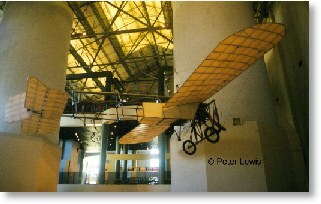 Being one of the older museums, its aviation collection dates way back to the early days of flight with this Bleriot XI, once used by Guillaux for the first Melbourne-Sydney airmail in 1914. 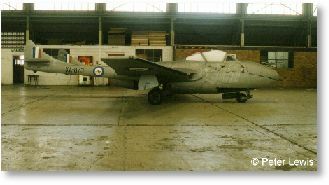 Reputed to be the first aircraft in Australia to perform a loop. A nicely presented DH60 Moth, one of the really early wooden ones, built in 1925 (c/n 245) with the Cirrus motor. 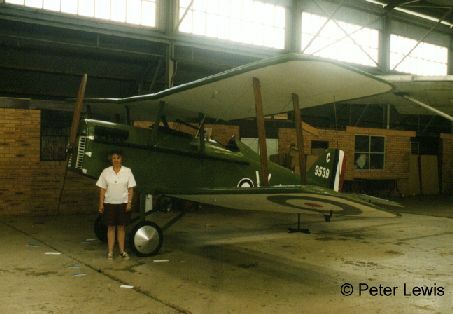 These were the aircraft that made flying affordable for the modestly wealthy man-in-the-street, and lead to the formation of the first aero clubs in England, Australia and New Zealand.